English Premier League. Kick-off: 3pm, Saturday 29th December. 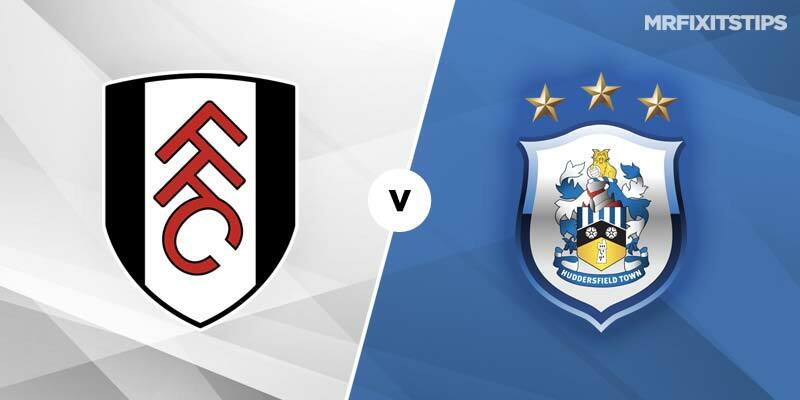 FULHAM blew a great chance to kickstart their survival push on Boxing Day and can't afford to pass up another opportunity when rock-bottom Huddersfield come calling. Misfiring striker Aleksandar Mitrovic admitted he felt like crying after blowing a series of chances on Wednesday and it's a sentiment likely to be shared by boss Claudio Ranieri. Having watched his side get their noses in front with just 15 minutes to go, he would have been frustrated to see them throw two points away by conceding late on. But that has summed up Fulham's season, with their chronic inability to keep clean sheets costing them dear. If there's any team they might finally shut out, it has to be Huddersfield, whose problems have come at the other end of the field. The Terriers did manage to score at Old Trafford on Boxing Day but it was nothing more than a consolation after falling 3-0 behind. The defeat sent them spinning to the bottom of the table, below Fulham, and I don't fancy their chances of rectifying that at Craven Cottage. Neither do the bookies as 888 Sport have Huddersfield as 14/5 outsiders with Fulham 11/10 and the draw 23/10. Despite their flaky form, I fancy Ranieri's side to win and you can increase those odds to 9/4 by doubling it with that elusive clean sheet. They created heaps of chances against a decent Wolves side and just missed that finishing touch. If Mitrovic has a better day in front of goal the 11/8 on offer from 888 Sport for over 1.5 Fulham goals looks good value. The big Serb is 16/5 to open the scoring and a tempting 27/20 for anytime scorer against a Huddersfield defence low on confidence. Subs Tom Cairney and Ryan Sessegnon had a big impact after coming on against Wolves, with the latter opening the scoring. They could both earn starts against Huddersfield and may be worth backing for anytime scorer at 17/4 and 11/4 respectively.